Kremlinization - the slip towards strong authoritarianism - is underway in Ukrainian politics. The EU’s Ukraine dilemma is either to ignore problematic democracy issues and develop straightforward pragmatic attitude towards official Kyiv or set a democracy bar. Based on the outcome of the last EU-Ukraine Summit on November 22, 2010, it seems that the EU is leaning towards the first option. 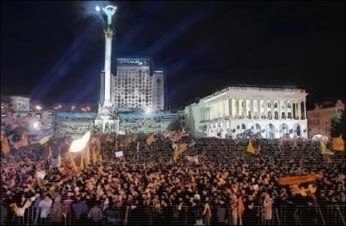 Заява Олександра Данилюка, активіста "Комітету 22/11"
The population of Ukraine totaled 45.8 million as of Nov. 1, 2010. The population of Ukraine totaled 45.8 million as of Nov. 1, 2010, according to a posting on the Web site of the State Statistics Committee. According to the committee, some 45.82 million people lived in Ukraine in September 2010. 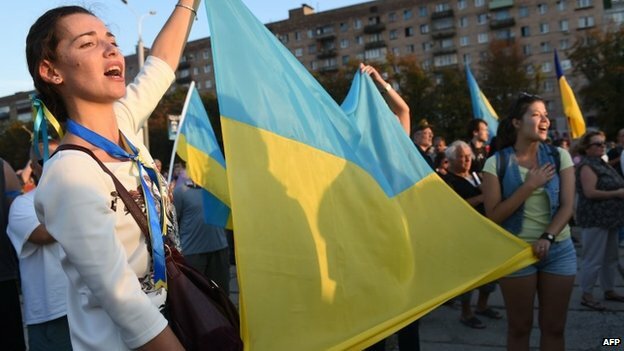 The urban population of Ukraine was 31.45 million people as of November 1. Accusations brought against ex-premier Yulia Tymoshenko aim to distract public attention from national problems, Tymoshenko's Batkivschyna party said. 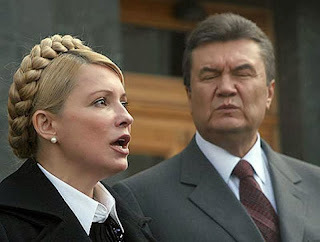 All the money received by Ukraine under the Kyoto Protocol is still on governmental accounts, and accusations brought against ex-premier Yulia Tymoshenko aim to distract public attention from national problems, Tymoshenko's Batkivschyna party said. Russian Prime Minister Vladimir Putin encouraged Ukraine on Thursday to join Moscow-driven efforts to integrate the economies of the biggest post-Soviet republics into one trading bloc. Ukraine has sought closer ties with Russia since the election of Viktor Yanukovich in February 2010, abandoning the goal of joining NATO and extending Russia's lease of a military base on the Black Sea. Kyiv, December 14 (Interfax-Ukraine) – EU integration remains the main task for Ukrainian diplomats, Ukrainian President Viktor Yanukovych has said. "European integration remains the first and main task of the Ukrainian diplomacy," he said at a meeting with Ukrainian diplomats in Kyiv on Tuesday. 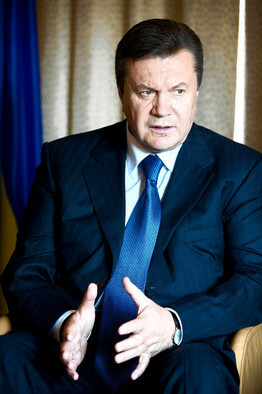 Yanukovych said that diplomats should focus their efforts on signing an association agreement in the near future. 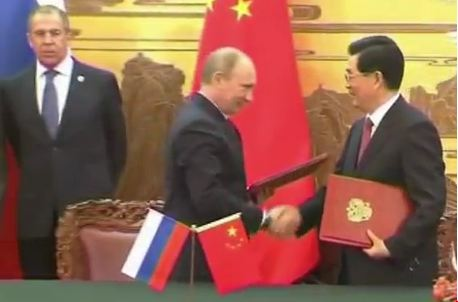 However, he noted that the signing of this document would be historically important for Ukraine and create "a platform for further European integration." The president recalled that an inseparable part of the agreement was the creation of a free trade area and the introduction of a visa-free regime with EU countries. 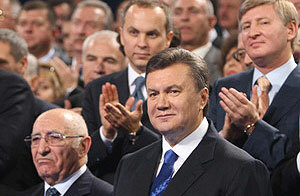 Yanukovych also said that Ukraine's membership of the European Union could be a guarantee of Ukraine's security. 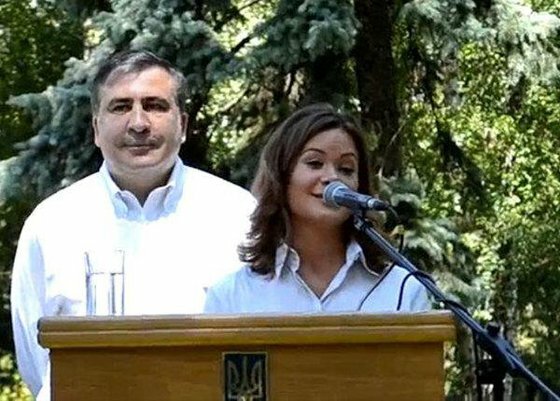 Юлія Тимошенко: влада Януковича плутає адміністративну реформу з PR-акцією - Юлія Тимошенко. 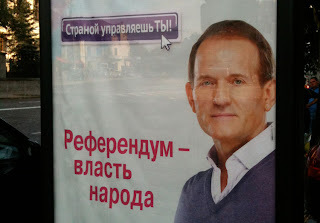 Офіційний сайт. Лідер партії "Батьківщина" Юлія Тимошенко переконана, що влада своїми заявами про необхідність адміністративної реформи намагається приховати свої корупційні дії. "Аналізуючи сьогодні видатки, стає страшно за країну. Якщо НСК "Олімпійський", лише один об'єкт, дає можливість відмити 2,5 мільярдів гривень, то навіщо говорити про PR-акції зі скорочення адмінвидатків і адмінресурсів? Усе це є лише гучна PR-акція, а справжні видатки, безумовно, йдуть на офшорні рахунки, на тіньові структури, і вони, на жаль, дорівнюють бюджетним обігам", - сказала Юлія Тимошенко на прес-конференції, коментуючи наміри влади провести адміністративну реформу. EUOBSERVER / BRUSSELS - Belarus, Georgia, Russia and Ukraine are already or are swiftly becoming 'mafia states' according to a senior Spanish prosecutor cited in US diplomatic cables. 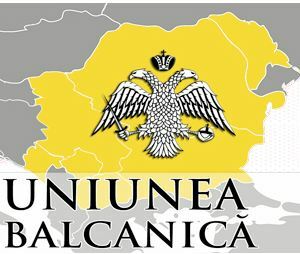 The appraisal, given by Spanish prosecutor Jose 'Pepe' Grinda Gonzalez to US diplomats in Madrid in February this year, noted: "He considers Belarus, Chechnya and Russia to be virtual 'mafia states' and said that Ukraine is going to be one. For each of those countries, he alleged, one cannot differentiate between the activities of the government and OC [organised crime] groups." Today at 12:08 | Staff reports A senior French government adviser told the United States in 2008 that it would “not have a great appetite” for offering Ukraine an action plan for membership to the North Atlantic Treaty Organization. Editor’s note: This is the sixth installment in a series of special reports that Dr. Friedman will write over the next few weeks as he travels to Turkey, Moldova, Romania, Ukraine and Poland. In this series, he will share his observations of the geopolitical imperatives in each country and conclude with reflections on his journey as a whole and options for the United States. (Reuters) - Brazenly provocative, the bare-breasted young women of Femen are becoming an eye-catching -- if unsolicited -- fixture on Ukraine's political scene. KIEV — Ukrainian President Viktor Yanukovych on Friday issued a rare rebuke to the Kremlin by describing as unfriendly a Russian plan to build an ambitious new gas pipeline that would bypass Ukraine's territory. Yanukovych has worked hard to improve relations between Moscow and Kiev since defeating the leaders of the pro-Western Orange Revolution in presidential elections this year. Ukraine has implemented only 4 out of over 60 analyzed reform priorities, identified in the EU-Ukraine Association Agenda (AA), the key document regulating EU-Ukraine relations. Trends during the reporting period (July-October, 2010) were marked with both positive measures taken by the public administration to implement AA’s priorities, and stagnation of changes in the “political dialogue” segment, primarily linked to worsening symptoms in the field of respect for human rights and democratic procedures. YouTube - Проханов VS Фарион на "интере"
Проханов VS Фарион на "интере"
Yanukovych and Oligarchs: a Short or Long-Term Relationship? 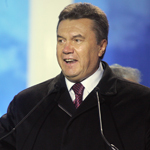 Ukraine’s October 31 local elections deepened Viktor Yanukovych’s and the Party of Regions grip on power. 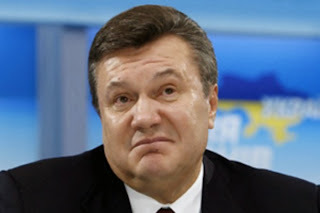 With parliamentary elections scheduled for September 2012 Yanukovych is on the way to a rapid monopolization of power that has profound consequences for Ukrainian democracy. EUOBSERVER / BRUSSELS - Voting in Ukrainian local elections on Sunday (31 October) looked fair to the two MEPs who went out to monitor the event. 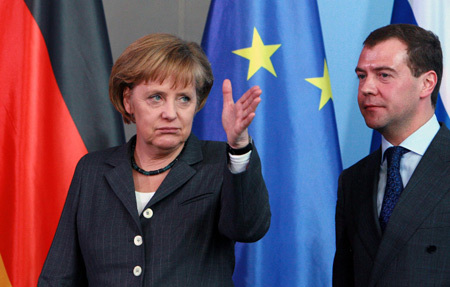 But EU institutions are unhappy about irregularities in the run-up to the poll. "I have seen a lot of elections in the past as an observer for the OSCE and I saw no serious flaws. But elections are not just about election day. It's about the whole picture," Polish MEP Pawel Kowal from the right-wing Law and Justice party told EUobserver by phone from Kiev on Monday. Russian Prime Minister Vladimir Putin did not discuss gas issues with Ukrainian President Viktor Yanukovych and Prime Minister Mykola Azarov during his visit to Kiev on 27 October. 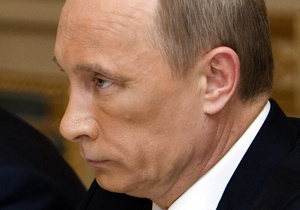 “Actually, our prime minister (Azarov) made some attempt to raise this (gas) issue, but it was not a success because the idea of Putin is widely known: He wants the merger of (Russian gas monopoly) Gazprom and (Ukraine's energy company) Naftogaz,” a government source in Kiev told New Europe on 28 October on the condition of anonymity. Azarov was quoted as saying by the press on 25 October that he would, during his meeting with Putin, seek a reduction in the price of Russian natural gas sold to Ukraine. Ukrainian energy officials have also called in recent weeks for increases to the transit fee paid by Russia. Putin mentioned that Russia already made huge concessions to Ukraine regarding the issue of price, the source told New Europe, adding that Russia has clearly stated its conditions. “We tried to persuade them, let’s make a deal, let’s revise the contract conditions, but unfortunately Putin was very firm,” the source added.